Free Fishing Reports > Northeast > New York > North Shore > Kids and Dads Bang Up Bass! Kids and Dads Bang Up Bass! 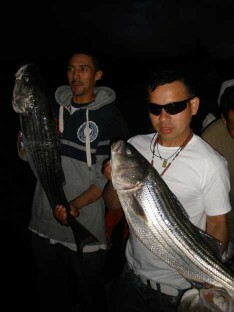 Ronoldo and Junior Bassin it up! 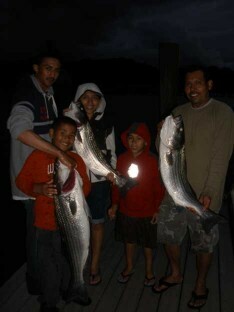 After work, friends, Walter, Junior, Alex, Ronoldo and Kids went out Porgy fishing, but ended up with an amazing bite of Striped Bass! The family limited out on fish from 10 lbs. – 20 lbs. All on board caught fish and had a great time before some crazy evening squalls came through.